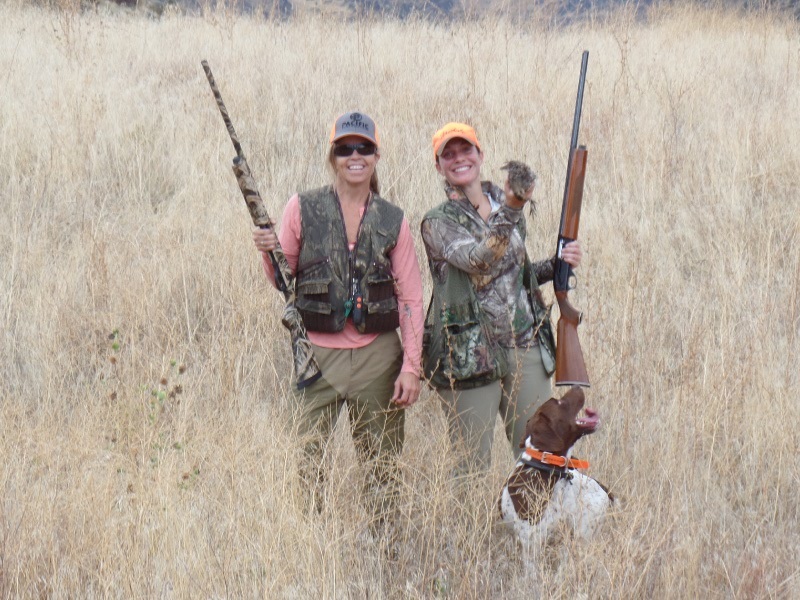 Chukar hunting and Steelhead or Trout fishing combination trips are a great way to achieve the trip every sportsman dreams of "Fins and Feather's". 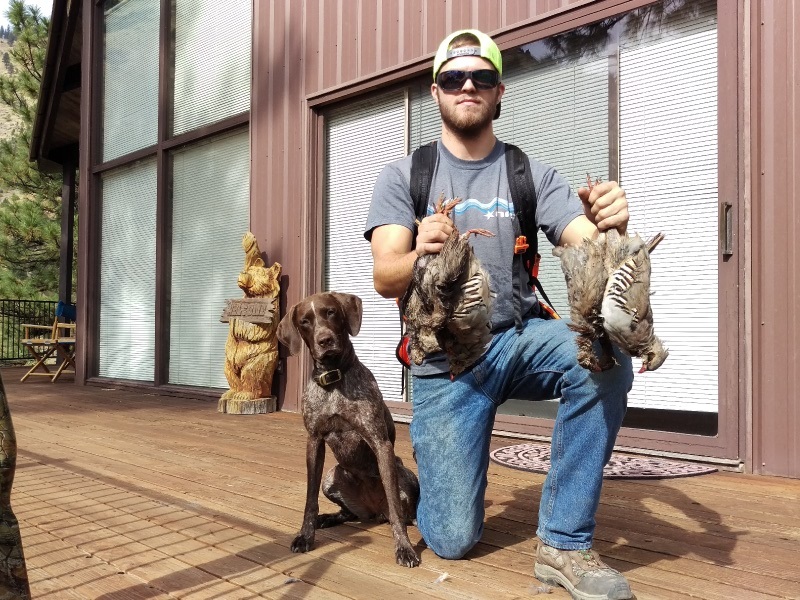 Chukar's are a challenge for even the best bird hunters but with our experienced guide and boats we give you and your dog a unique advantage. We can listen and watch for birds while fly fishing for trout or reeling in a steelhead or bass. 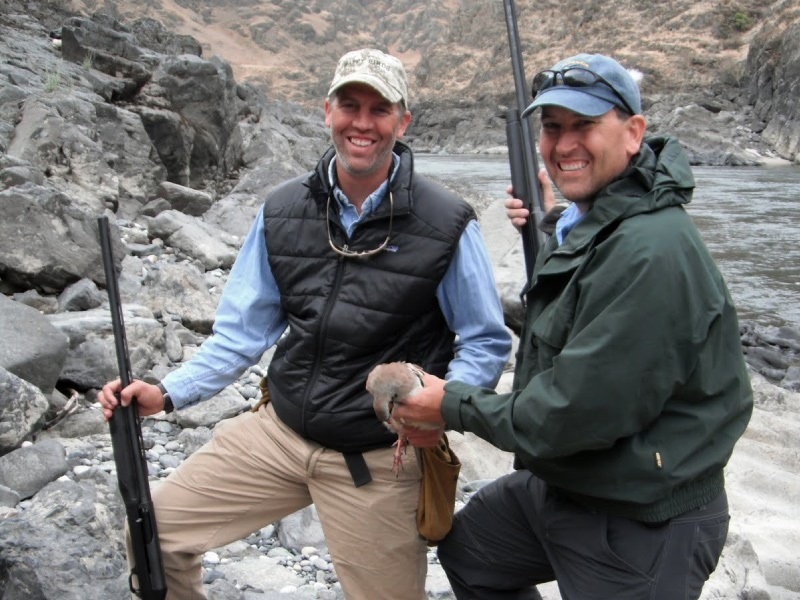 Hunting from the boat is a great way to keep the hiking down to a moderate level while giving you plenty of opportunty. A trip on our Jet Boats on the Salmon River is an experience in itself, combine great hunting and fishing and you have a trip of a lifetime. Our wild chukar here on the Salmon are a non-native species of partridge introduced to North America back in the 1930s. 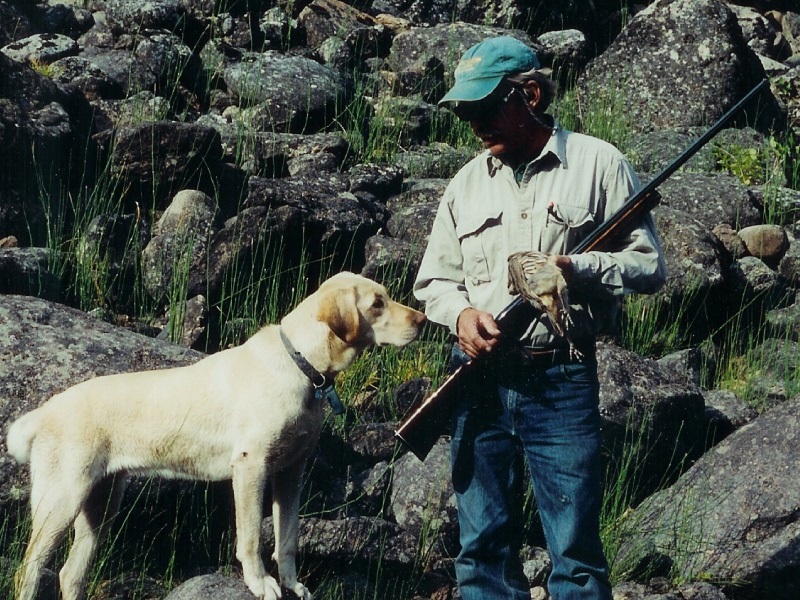 Due to the remote and rugged terrain of the Frank Church Wilderness chukar are right at home. Wild chukar are extremly quick and use the steep canyon to there advantage, the challenges of hunting these birds inspires passion and respect. We encourage all of our clients to stay at our lodge for 1 to 4 day packages. 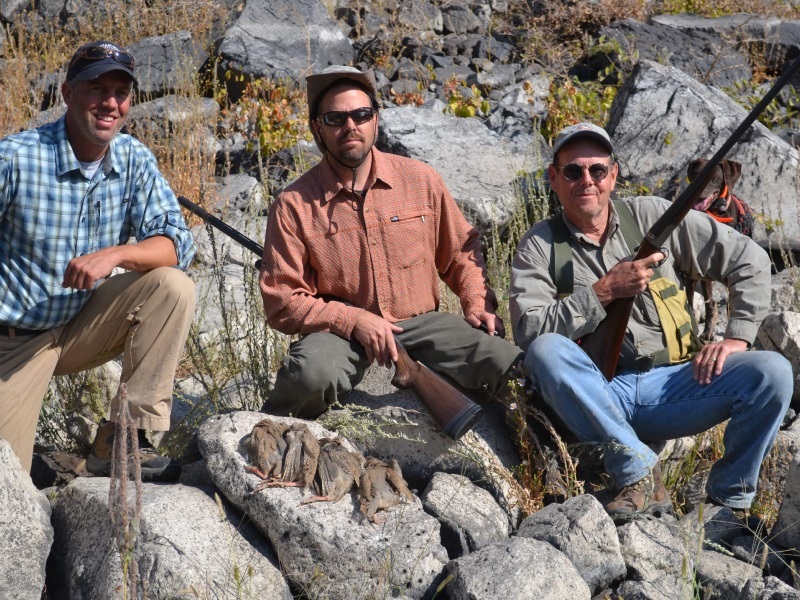 We can get you to the fish and the birds, we operate on more river miles than any other outfitter in Idaho, from Lewiston to Salmon and all of Hells Canyon. A good lunch, and all the fishing tackle is provided. 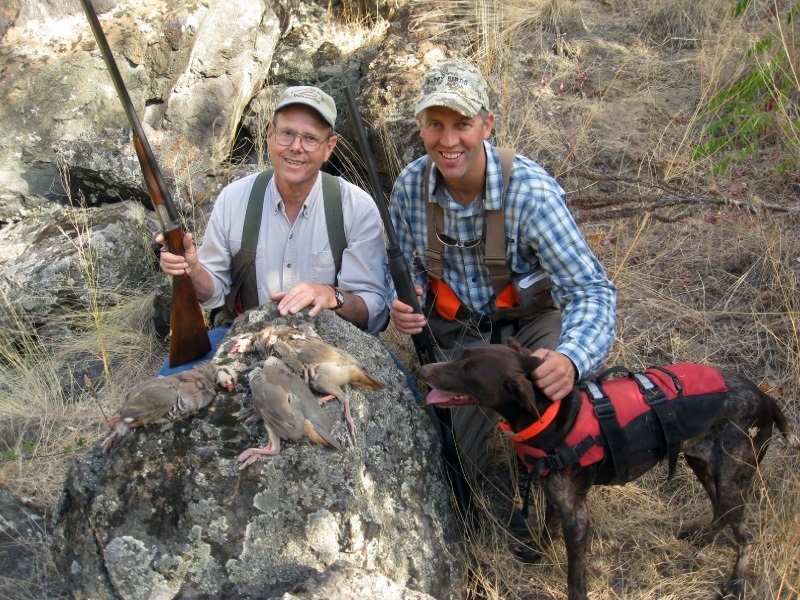 Chukar Hunting and fishing with lodging in the Frank Church Wilderness, experience the Ram House Lodge at Mackay Bar at the confluence of the South Fork of the Salmon River. Opening Day in September to October 10. Let our experienced guides take you on an adventure of a lifetime, escape into the wilderness for an adventure of a lifetime.